i have been absent from you, i know! but even the nights are better since I found you! I have been working diligently on an article about my friend and this is busiest time of year. or one of them. parties, people, things. when i can go I follow. 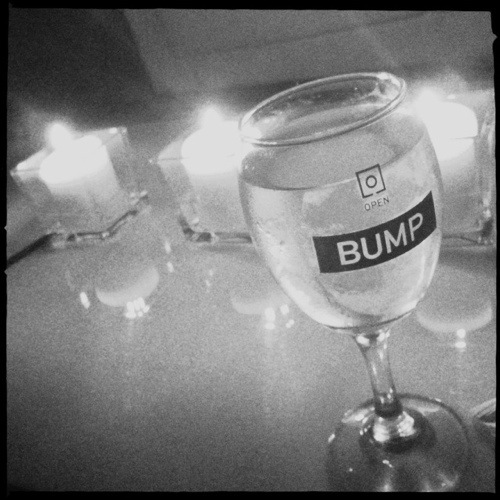 but there’s white wine and candles and wintersleep is about to go live on stage. adam cohen was up there before, i didn’t know him then and i won’t be looking him up later. but the vintage tunes between sets are keeping the smile on my face. and just for a minute let’s all do the bump.